Two years ago, on Easter Sunday, our family took a trip to Barnes and Noble. It was a quiet afternoon. We visited my mom at the nursing home, ate, took a walk and then decided we were bored. So we hit the only place that was open. While we were there, my daughter ordered green tea with coconut and couldn't stop raving about it. I kept the tea tag so I could remember the brand and flavor, tucked it into a drawer and forgot about it. Well, this Christmas, I found it and decided to hunt it down and order it for my daughter. To my great surprise, it arrived in the prettiest lavender tin. Turns out she loved the tea, so I ordered more. And then even more. I held on to the tins because they were too lovely to toss. 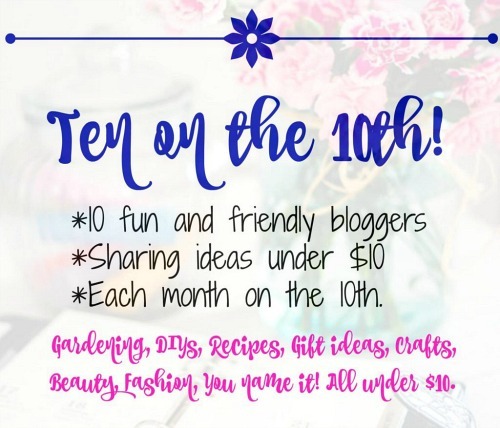 I wasn't sure what I was going to do with them, but when the Ten on The Tenth ladies suggested we share container gardens this time around, I said bring it on. Now, I don't have a green thumb. At all. Plus, it's actually snowing here today. Yes, in April...and I had a feeling it would be when I took on this challenge. However, I also knew that I had the perfect containers and that even I could keep pansies alive. I figured that if they could thrive in a northeast spring, they could make it with me as their mama. In my kitchen. At least, I hoped so. The tins are sweet, but aren't meant to house plants. No drainage. So I added a few rocks to the bottom of each one. Next, I grabbed my potting soil and filled each tin about a quarter of the way. Luckily, I had some on hand. What I didn't have was flowers. So I grabbed four plants for five bucks at the nursery. Like I said earlier, too cold to work outside, so I spread out on the kitchen table. Unfortunately, all of my pansies were root bound. You know, when the roots take on the shape of the pot and begin to grow in circles. Plus, they were coming out of the bottom and I couldn't get the plant out of the pot. 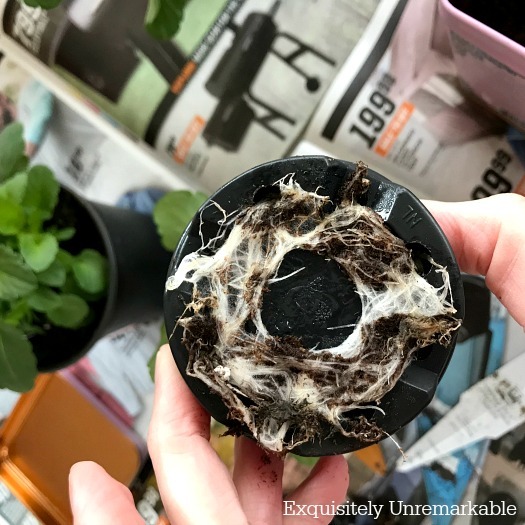 The problem with root bound plants is that they don't easily root in their new environment. The roots grow in a circle and taking on the shape of the pot. 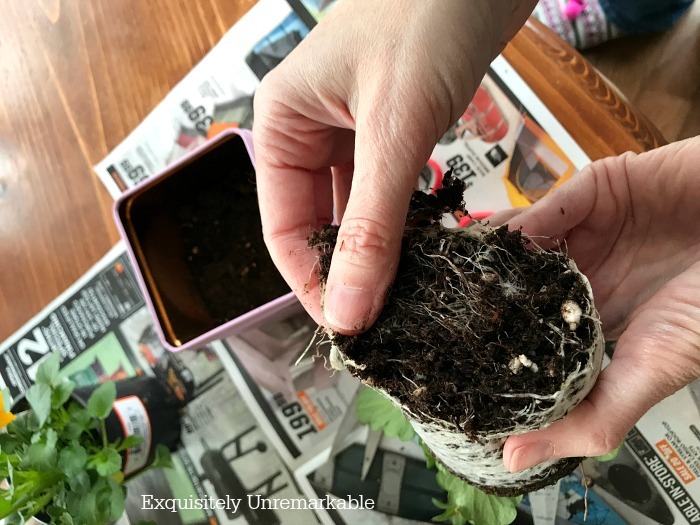 The easiest way to remedy this is just to create a few cuts so the roots can spring out. Of course, I had to trim the roots on the outside of the pot in order to get the pansy free. The bottom then naturally opened up. 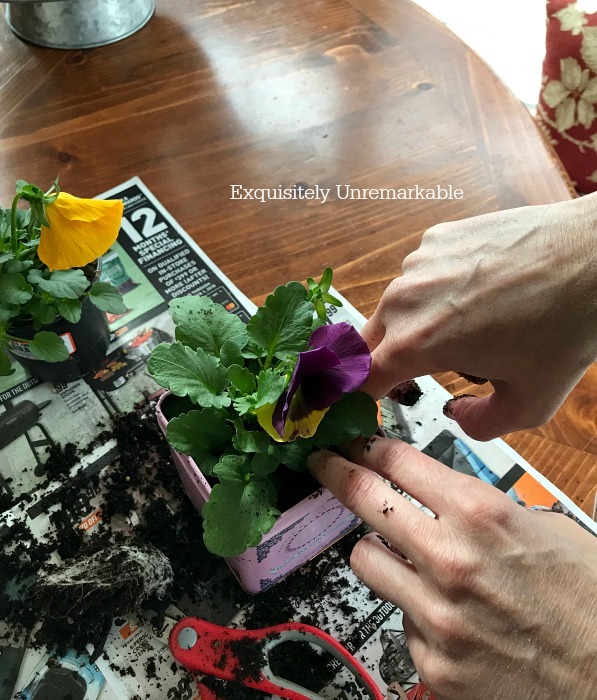 I placed the pansy inside the recycled tin, added more dirt and used my hands to make sure it was all tucked in. Everyone got a drink and that was that. I couldn't be happier with the way they turned out. I love the fresh pop of color, the vintage feel and they look beautiful on my windowsill and in my brand new galvanized stand. And all for under ten bucks. I love those tea tins! Such pretty colors. I think they would be great for indoor herb garden containers too. Since I am a tea drinker - no coffee for me- these containers would be practically free. I'd say that's a win/win! That's so funny, Tammy. I was considering herbs, like a small kitchen garden. I am not a good gardener, though, so I wasn't sure how that was going to go. Pansies are easy...and hearty!! 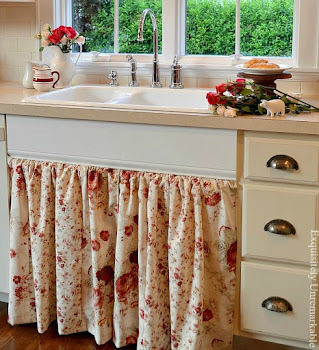 What an adorable idea for a kitchen. There is something so cozy about tea tins. Thanks so much! When I saw them I just had to keep them! Very cute, and pansies are such a cheery choice of plant. Day brightener for sure. This was a clever idea - so colorful and pretty! At first I wondered if the tins might leak, but then I figured you put the lid on the bottom - but placing them all in a larger aluminum bowl was a great idea!! I just adore pansies, too! Love your little Tea Tin Container Garden . 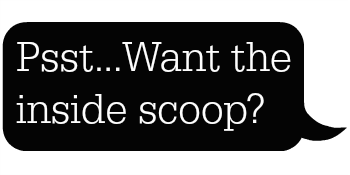 . .
I’d say you “win the prize” for pretty, tutorial, root bound instructions! And goodness gracious . . . I certainly have Good Luck with you . . . Thanks Lynne! I know what to do, I come from a long line of very good gardeners. I am just very bad at the follow through! And congratulations!! Yay for you!! Perfect little tins for small plants! I love their tea tins and always try to reuse them too! They are just so pretty, with that dainty print and bold colors! These little tins are really cute. The teas sound pretty delish too. Great idea. Darling idea! I have a difficult time tossing pretty tins too. The colors and the graphics are too interesting to just throw away. This is a great way to recycle. Thanks...and I totally agree, Sarah! I have some cookie tins that are just too darling to toss. I've been keeping craft supplies in those. I always keep my Harney and Sons tins. They're too pretty to part with. Love what you've done with yours! They are just the prettiest! I didn't know anything about this tea until our trip to B&N. Now they are all addicted! Kim you know I have the same problems as you, no green thumb, awful weather. I think those pretty tins did a lot to dispel that gloomy weather. Nothing prettier than a pin tin! Thanks Mary! It really brightens the view on my windowsill! 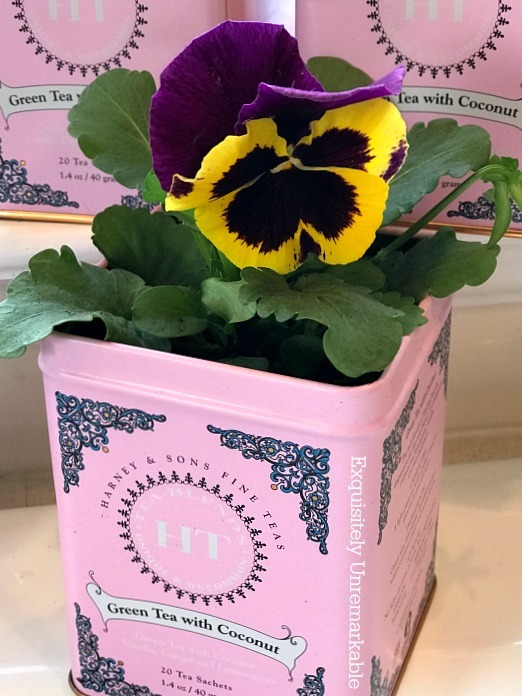 How pretty the pansies look in the tea tins! I have SO MANY tea tins. My son-in-law gives me tea in a tin every Christmas. He enjoys the hunt for a different one each year; different shape, different kind of tea. And I save all the tins. I can display most of them on the shelf of my microwave cart, but some of the tin shapes just don't fit there. What a fun gift, Kathy. It serves double duty, smart boy! I have just started collecting tins and I have to say, I can see how in this tiny cottage, it could become a problem…but a pretty one! Kim, Using the sweet pink tins is such a cute idea. They have a vintage vibe that is really nice. And they are free. Thanks Carol. I just fell in love with the color...and free is fabulous! I'm not a tea drinker, but those tins are adorable! Great idea! My mom drinks that brand of tea. She also saves the tins. ;-) She stores her small craft supplies in them. We still have snow, lots of it, more coming this weekend!! That's so funny, Carla! I had never seen it before I hunted it down on Amazon. The tins are just so pretty, I had to keep them. I hope my plants make it though...I am not talented in that department like you are!! I've done this in my garden. I have a row of tins on my back wall planted with sedums that are winter hardy. I rarely have to do more than water them in the summer. They are just such sweet containers. I bet they look beautiful, Jenny!! so beautiful! aren't little pansies the sweetest! but the tea sounds wonderful too. every single flavor. and I normally am not even a tea drinker! we're expecting about 90 degrees on Thursday and then that night or the next down to 28 or 30 degrees. good lord. The weather is nutty here, too, Tammy. There are constant rumors of more snow and the promise of 70 degree days. I just don't know...so I will just focus my pretty pansies instead. And thank you! Now you're a real gardener Kim. I think of myself as one too, and you did exactly what I would do. The pansies look beautiful in the tin, and I love the tin color too BTW. Oh Florence, thanks and I really hope so. I have been tending to these little ones on a regular basis and hope that they make it! 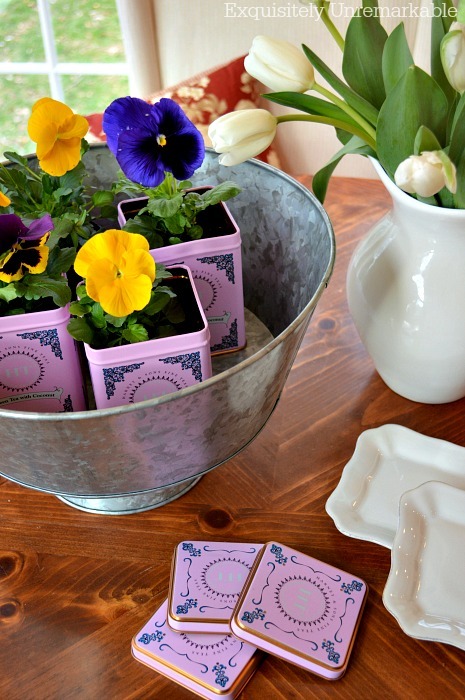 Sweet pansies in vintage tins, well it just doesn't get any better than this! Thanks Jemma...simple, easy, sweet and free! Thanks so much!! They really are pretty tins and so much prettier with the flowers. That sounds like a lovely idea, Teri. I was thinking about using my tins to create a small kitchen garden (very small!! ), like yours, but it’s been so cold, I wasn’t sure how that would go. Pansies don’t last that long around here, so I was thinking I could try herbs when they are done. We’ll see… Have a great afternoon! Okay, now I need to order some of that tea just to get those containers! They look wonderful! These are so adorable! Love the color of the tins! Super cute idea plus I love pansies. Kim- you have such a gift. I love those tins. You are the sweetest, Laura. Thank you! That is adorable. I love those tins. I love teas,but never heard of green tea coconut. Will have to give it a try and I also love the pink containers. Thanks for sharing. You are just the cutest thing ever, Kim! These would look lovely lined up on my kitchen windowsill.....now all I need are the tea tins! 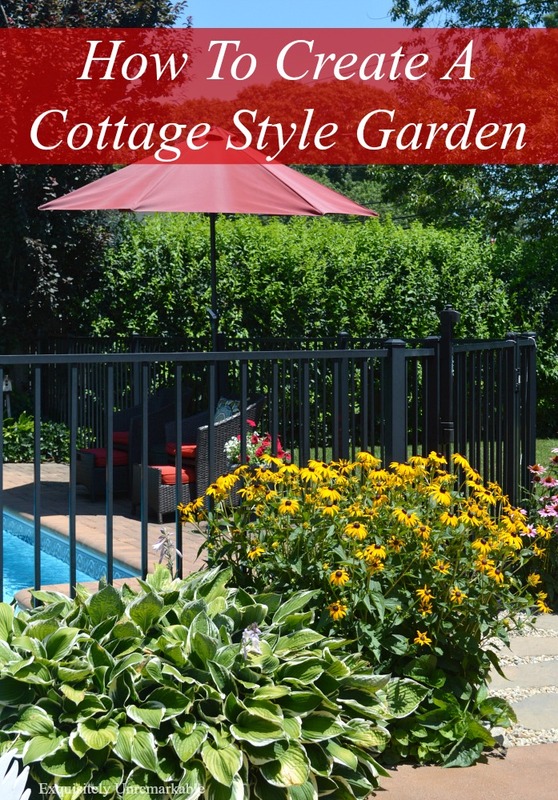 What a wonderful idea and your step by step guide is brilliant! Thanks so much, Jan! I am so glad you found the instructions helpful. 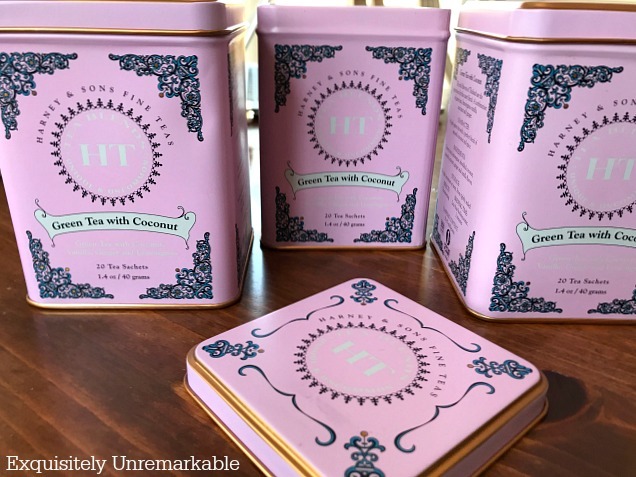 I love tea as well and I love the pretty tins. The whole arrangement is fab. 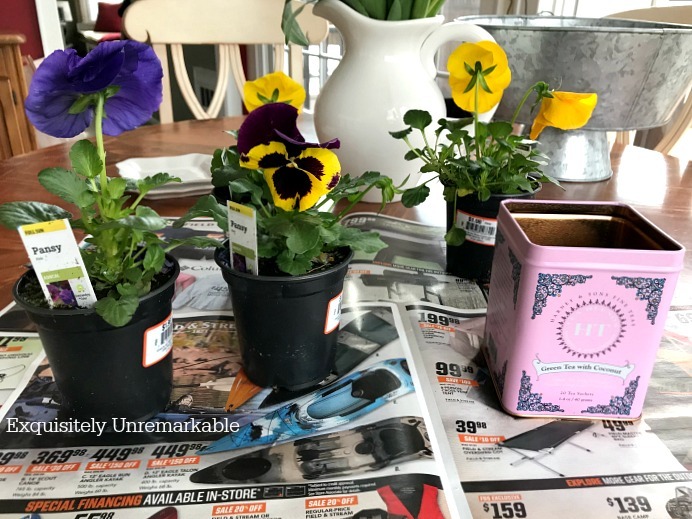 I've converted a few tins to plants and it is usually quite easy to make holes with a hammer and nail if you want extra drainage and don't think you'll use the tin for anything else. I have some of the same brand tea canisters but not in that lovely lavender. Right now the tins are in a box full of other unique canisters to use for plants. 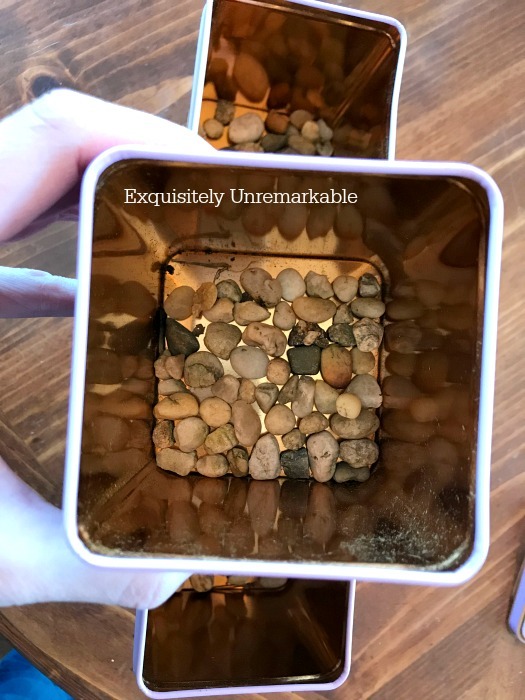 Our Dollar Tree sells mini faux succulents and I've collected a few for this project. Black thumb here, even if the plant is next to the kitchen sink, it doesn't stand a chance. The pansies you picked are beautiful! They are my favorite flowers to plant. I put them in my front yard which is maintained by the HOA and the only reason they grow. Left up to me...haha. I hope it warms up for you soon! Enjoy your tea and pretty flowers until then. Oh my, what sweet plant tins you created, Kim! I can never toss things like that either, but they usually end up in my craft room with something crafty inside....that's probably a shock, right? I cannot believe the weather you guys are getting; one snow storm after another! I thought our two-week Spring was over last week, so I swapped out most of my long-sleeves and long pants for lighter tees and capris...it actually hit the century mark at the airport! Now, all of a sudden, we are back into the 70's and 80's. I know that sounds warm to you, but when the humidity is in single digits, it's really quite nice. Chin up, I know you will get nice weather soon...I hope! Oh Carol, thank you, your weather sounds amazing. I mean, I'm not sure I would be excited about 100 degrees, but somewhere in the 70s or 80s sounds divine! And I picked up a few more tins at the thrift store and I am trying to figure out how to use them. I am going with craft area storage. Great minds think alike!! Enjoy the week! So cute! I love tea tins and this is a sweet way to display them. Thanks Kristi. I figured if Mother Nature wasn't going to give me any spring, I'd make my own!